We're proud to be the authorized Atlanta dealer for One Day Doors & Closets. We love working in the home improvement market and have a passion for design and serving people. We are a small family business and you'll be treated as family if we have the opportunity to serve you. We specialize in whole home interior door replacement, closet doors and closet organizers. We have a full line of doors and organizers on display in our showroom in Alpharetta. We'd love the opportunity to show you how we bring technology to home improvement and can replace a whole home of doors in one day with no construction mess. Designers and realtors agree that replacing your interior doors is the best whole-home improvement you can make. It's the only home improvement that updates the look of your entire home and can be completed in one day, with no messy construction and is affordable. It is always important to consider changing the locks on your home. Especially if you just moved in or bought a new house. 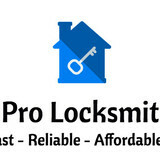 You should always have your new home re-keyed by a professional locksmithMobile Pro Locksmith LLC is your best source for high quality lock and key services for your home. We are locally owned and operated. Our reliable service and affordable rates are no match for our competitors. Jennifer’s Glassworks has been designing and building entry systems and stained-glass windows here in the Atlanta area for 40+ years, and where you buy …matters. We design, build, install, repair and re-finish. Jennifer’s Glasswork’s doors are handsome, Solid Timber Doors (no veneers) with hand-forged wrought-iron panels or leaded glass. We also carry beautiful Iron Entry Systems that will give you the added security we all desire. We are believers that you should “Create Value” when you have that rare opportunity to improve your home. Your front door is a great place to start. Welcome to Abby Iron Doors where you'll find the finest selection of custom iron doors with features and specifications that make our wrought iron doors superior in quality and style, and where we craft only the best wrought iron door and iron door products that are built to last a lifetime. When it comes to custom Iron entry doors, wrought iron security doors, cast iron doors or iron front doors, we don't cut any corners. All of our iron doors, iron glass doors, custom iron doors, iron exterior doors and other wrought iron doors are hand crafted. Florida certified doors are made with the highest degree of attention to detail and care in craftsmanship. With this certification our products are proven for quality and ability to meet stringent building code set forth by Florida Building Code Department. It is the sign that you can trust Abby Iron Doors as a company of integrity that is fully committed to your satisfaction. Our castle doors, custom doors, decorative door products, custom entry doors, custom front doors, custom exterior doors, iron wine doors, iron entrance doors, iron double doors, decorative doors are made using 12 gauge steel construction which is thicker than the 14-16 gauge commonly used by other manufacturers. And, our wrought iron doors come with a 10-year warranty and construction and a five-year warranty on finish. Our wrought iron door designs all come with a flat price that includes clear glass, weather stripping and threshold. Masterpiece Doors & Shutters has been in the door business since 1971. During this time we have offered many different styles of doors, including both traditional wood, as well as iron. With the extreme levels of maintenance required for both of these products, we knew that there had to be something better. 10 years ago we developed something very new and unique, a revolutionary product in the door industry: the composite door. The composite material will stand the test of time in extreme weather conditions, while still allowing for a truly beautiful and high quality design. We believed in this new method so much that we made the decision to develop every door we make solely out of composite material. All of our doors are made to exceed every industry standard imaginable; We hand distress them to offer a rustic wood look, or plate them in bronze to give a cast iron look. We custom make each and every order to our customers' exact design and size specifications. Rest assured, no matter which style or finish you choose, it will be made of our composite weatherproof material and backed by our industry-leading warranty. Our unique doors are guaranteed not to crack, split, rot, warp, or rust for 10 years. 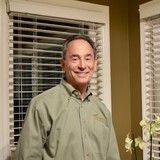 Visit us at www.masterpiecedoors.com or call us at 678-894-1450. You won't receive an automated service; one of our team members is always here to discuss your specific project with you, and answer all of your questions. This is a quality of customer service you won't find anywhere else. We look forward to having the opportunity to serve you! Martins Millwork, Inc. was founded in 1997 and over the years has become one of the area's top producers of custom millwork. With a broad array of products offered, we pride ourselves on the ability to customize all orders to a customer's specifications, while maintaining a competitive price and reasonable lead time in today's market. Our staff has over 100 years combined experience in the building and millwork industries and we are dedicated to supplying our customer's with high quality architectural millwork. Our strength is our people and our focus is you, our customer. Whether you are starting a new building or are remodeling, we will work within your timeframe and specifications to provide the utmost satisfaction from start to completion. Your front door is the "face" of your home. A new beveled glass door is one of the few improvements you can make that will enhance your home's beauty, value and energy efficiency. Add that WOW factor to your home you've always wanted! Bathroom designs have become more sophisticated just as the products which are available to homeowners have also become more sophisticated. One of the more recent and very pleasing to the eye shower door is the frameless shower door. "What's the big deal?" you might ask. The big deal is that it looks spectacular. Give us a call or shoot us an email for and we will come out to field measure your shower door opening at no cost! 9 times out of 10 we can give you a quote right then & there in order to get your project started as promptly as possible! The Glass Guru is a locally owned and operated glass & window replacement/repair company. We can handle all of your residential glass needs: glass and window replacement, shower enclosures, mirrors, table-tops, and shelving. 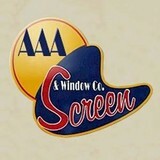 We even do commercial storefront glass replacement. We are known for are our restoration services. 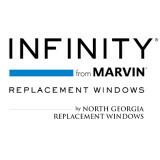 Yes, we can get rid of those "foggy windows", while saving you 50% or more versus replacing your glass! We are dedicated to ensuring all experiences and interactions that customers and clients have with The Glass Guru of Atlanta South are positive, and focused on valuing people, process, and product. The moment you realize that you require a locksmith in Marietta, GA, it is imperative that you call Marietta Locksmith Georgia immediately. Despite the many choices in Marietta, locksmiths are easy to come by, yet the good ones are hard to find. Whether you are looking inside the city limits or outside Atlanta, locksmith solutions are all around you, yet you need a professional that can provide affordable and reliable services. Thus, when you need a locksmith, Marietta Locksmith Georgia is there for you. Offering security solutions for your vehicle, home, and business, Marietta Locksmith Georgia will provide the security services that you are looking for, all at a price that truly cannot be beat. From the installation of quality locks into your vehicle’s doors to installing window locks to secure your home’s windows, Marietta Locksmith Georgia can help you. We can also install a master key system into your business as well, allowing you to have access to every inch of your business. Marietta Locksmith Georgia also uses the best brands in the industry, such as Arrow, Medeco, Schlage, Baldwin, and many other brands. When you need a team by your side that can ensure that every aspect of your property is secured properly, you need Marietta Locksmith Georgia to be there for you. Available for you whenever you need us the most, our experts are here to ensure you are secured perfectly, so please call Marietta Locksmith Georgia today, and learn more about what we aim to do for you! What kind of services do Kennesaw door dealers provide? Door dealers are responsible for a variety of services, including door installation, replacement, door repair and custom door design. If you need a new door, Kennesaw, GA door dealers will help you determine what kind you need, as well as shape, color, size and more. From barn doors to French doors to front doors, these professionals can help you choose, install and maintain your door investments. Wood doors are beautiful, versatile and tend to be the most popular choice for both interior and exterior doors; they are easy to custom build, and include oak, cherry, walnut, mahogany, maple, fir and pine. Some standard wood doors have MDF cores wrapped in wood veneers, which minimizes the chances of warping as real wood expands when wet and contracts when dry. If your heart is set on a wood door but you think the Kennesaw, GA climate might cause it to warp, talk to your door professional about a furniture-grade veneered door. Aluminum doors have an insulated core and come in a variety of colors and finishes. With a baked-on enamel finish, they won’t rust or need repainting, and many come with a 20-year warranty. Next to wood they are the most expensive and have to be custom-made. A Kennesaw, GA door dealer can help you find a reputable aluminum door manufacturer. Find door dealers and installers in Kennesaw, GA on Houzz. Look in the Professionals section of our website and search for Kennesaw, GA door dealers and installers. Read reviews, look at project photos and see how a pro can help with your home improvement project.